It had to happen eventually: the weather, up to now uncannily clear and sunny, finally turned ugly. 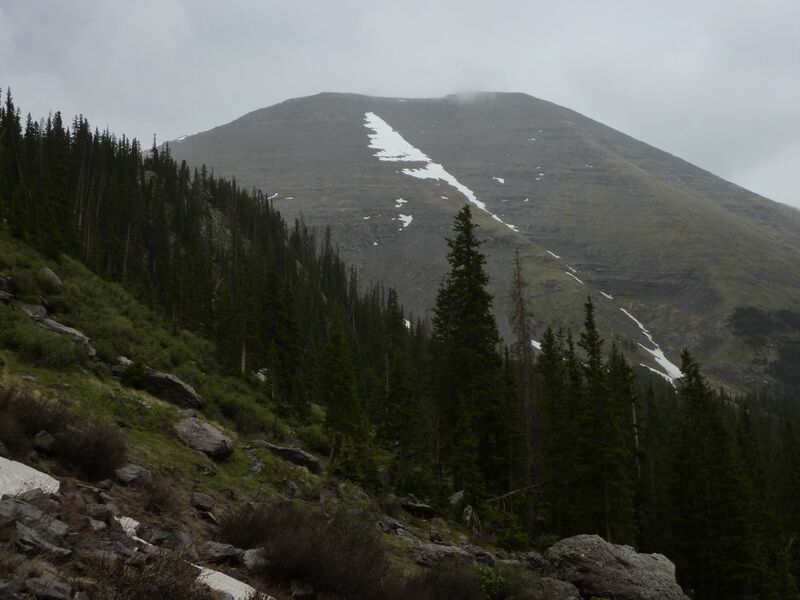 I decided to turn south for the Blanca region, home to 5 unclimbed 14ers, since they should have melted out more than the other motherlode in the Aspen area. Given the tough day on Pikes, I opted to start with Humboldt, a bland anthill across from the Crestones. The town in this area, Westcliffe, is peculiar. It has very little cell phone coverage (the waiter at the Mexican restaurant claims T-Mobile, of all things, works, but there is no Verizon), but it has free wireless (people aren’t big on password-protecting their home networks). The only chain food is a Subway in a gas station, but Edwardo’s, the Mexican place downtown, is cheap, decent, and friendly. 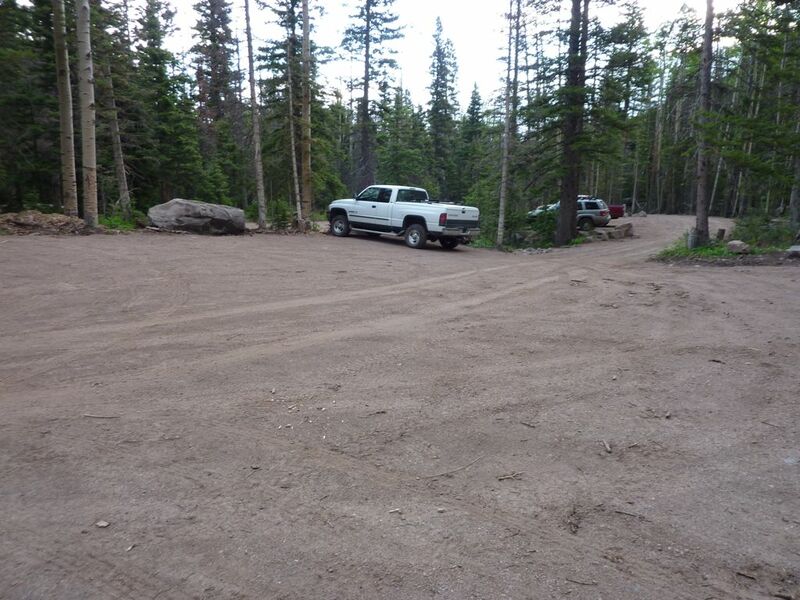 I drove up to the newly-bulldozed South Colony Lakes trailhead, 2.5 miles below the old one, and found a few cars and a nice flat spot to park and sleep. Leaving my house around 6, I was disappointed to see that it was already cloudy and looked like rain. The clouds didn’t do much, though, and I optimistically assumed that they would either continue their forbearance, or clear out before the usual afternoon thunderstorms. 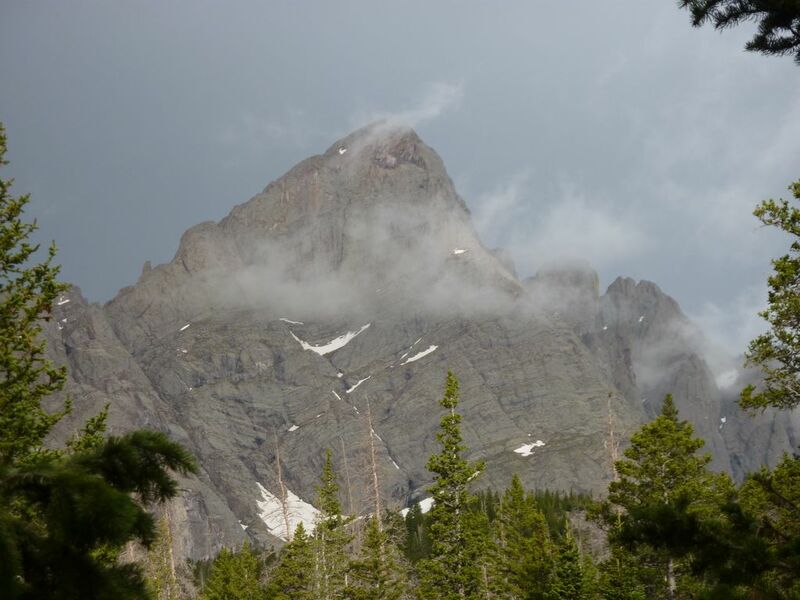 Crestone Needle, from near the old trailhead. I passed one group going up and one turning back on my way to Humboldt, and caught a few glimpses of Crestone Needle through the clouds. Other than a few corn-snow flurries, the weather held as I crossed solid patches of snow and climbed the well-maintained trail to Humboldt’s west ridge. The well-maintained trail turned into a use trail there, but was still easy to follow. Along the way I saw at about 50 yards what might have been a gray fox (too gray, thick-tailed, and smooth-running to be a marmot), but it was too far away and too shy for me to get a picture. 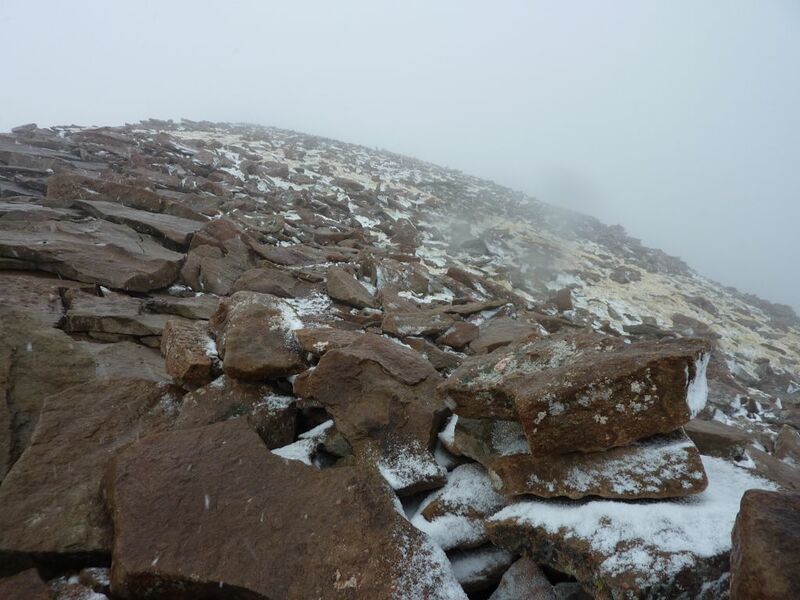 The snow flurries picked up as I approached the summit, which had two surprises: an actual register, and a small cliff on the other side. As the flurries turned into a blizzard, I had a quick snack and headed back down. The two groups I had passed were still stolidly climbing as I descended. The snow turned to corn and then misty rain, and between hitting wet brush and sticking my foot in a creek, I was thoroughly wet by the time I returned home. The forecast calls for more of the same tomorrow. Movie theater, next to theater. Westcliffe’s üper market, with view of Crestones. One of numerous planters along Main St.